We usually suggest folk get their books for free by visiting us at the library, but for those of you stuck for last minute gift ideas a book, or if you're really not sure what to choose then a book token, may solve your dilemma. 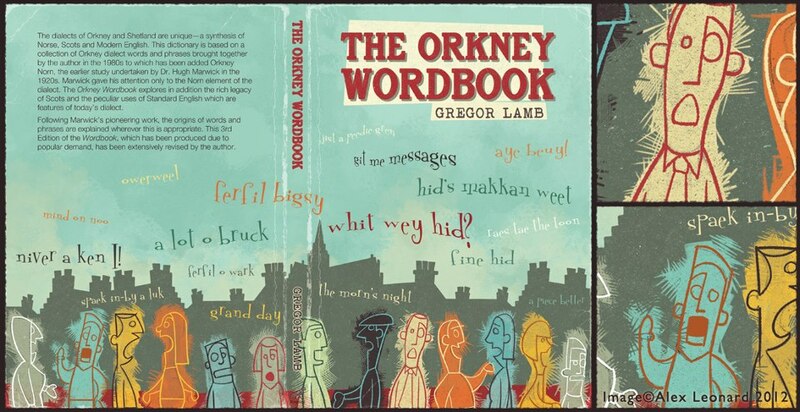 There are of course lots of Orkney related titles to choose from but we noticed that the 3rd edition of Gregor Lamb's The Orkney Wordbook is due out this week, with a striking new cover designed by Stromness artist Alex Leonard of Tambo Illustrations. 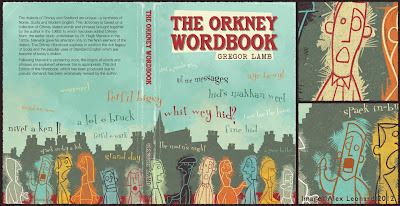 Alex is perhaps best known for his weekly comic strip 'The Giddy Limit' which appears in The Orcadian newspaper, with the characters also appearing in another popular calendar for 2013. For those of you unfamiliar with the antics of Cheemo, Sandy, Liz, Davo and Ivy there is an archive of past strips available online. Here is a seasonal example, illustrating the minefield of Christmas gift giving.